One of my favorite things about traveling - help make a difference today! Hi Paradise Seekers! One of my favorite things about traveling is being able to meet great people in my journeys. 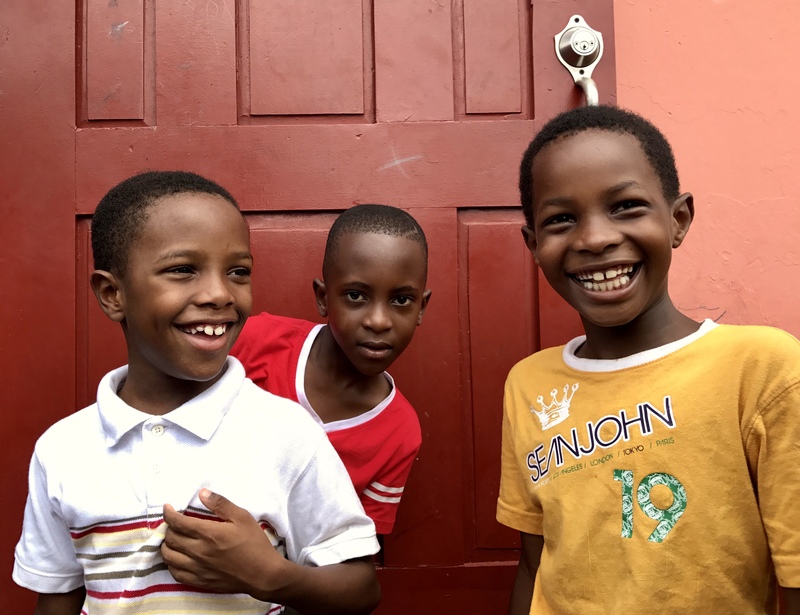 Last year, I was fortunate enough to get to know some pretty amazing kids in a small rural town in the south of Jamaica. We gave them backpacks and school supplies so they could start their school year with the proper resources. You can see my post about the experience here. 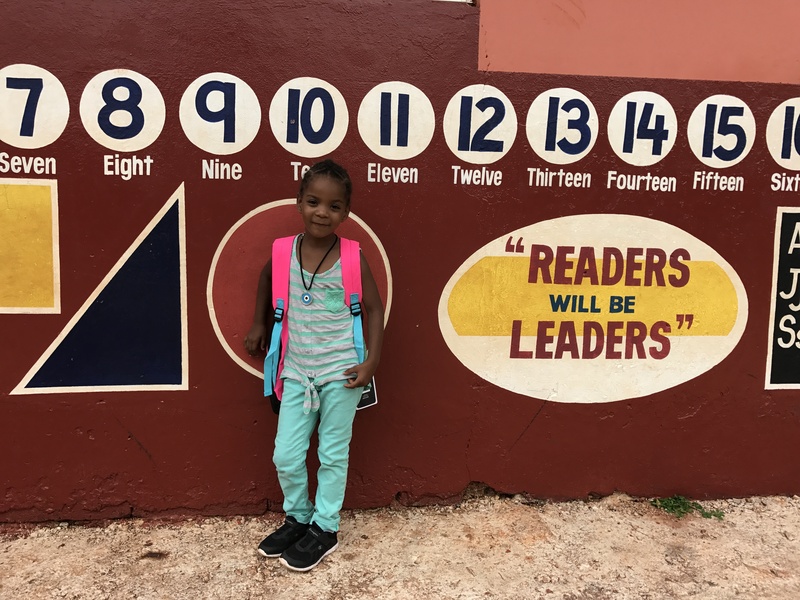 Since last year’s trip, I have become more involved with the Lynne Mitchell Foundation Inc., an organization whose mission is to help poor kids in St. Elizabeth Jamaica. I’m now a board member and in charge of fundraising and marketing (no pressure). So, I’m super excited to tell you that we have kicked off the foundation’s annual backpack drive and you can help us make a difference! 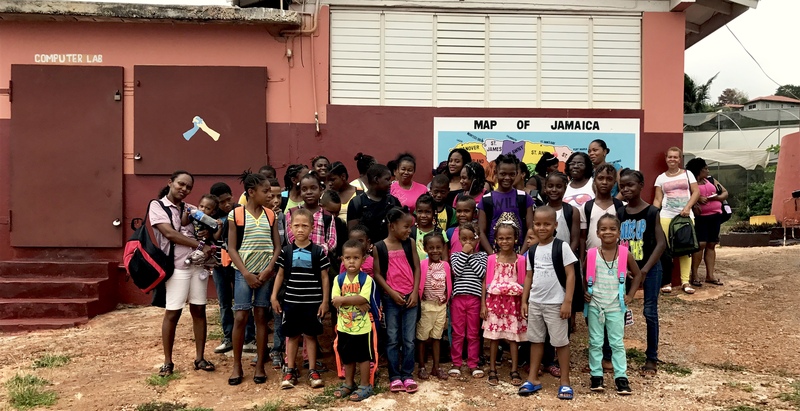 The students at Seaview Primary school after receiving their backpacks and school supplies in August 2017. I definitely think that one of my favorite things about traveling is opening my eyes and feelings to people and things that are outside of my immediate world. Getting to know how other people live and think, learning about their challenges and aspirations, and sharing stories about our lives, unifies us in such a divided world. And I love to experience that connection. Have you ever had an experience like this while traveling? Have you ever traveled for a cause? Volunteer tourism is becoming more and more popular. Let me know if you’re interested in learning more about this topic on the comments below!